BANKS have initiated legal action to repossess thousands of houses and apartments, it has emerged. This is despite a loophole in the law blocking repossessions. A new report estimates that lenders have issued legal proceedings to take properties off up to 44,000 borrowers. These are made up of residential and buy-to-let properties, according to calculations contained in a new report by Davy Stockbrokers. An analysis estimates that what it calls non-cooperative borrowers number between 23,700 and 43,700.
Letters threatening legal action have been sent to these borrowers. And there are fears that large numbers of properties, particularly buy-to-lets, will be repossessed. Legal action to repossess properties has been taken by both AIB and Bank of Ireland in around one in five of arrears cases, according to the report by Davy‘s Conail Mac Coille. Ulster Bank said that up to a third of its property owners in arrears were making no payments at all. The bank said it would not hesitate to repossess in these cases. Strong demand for family-type homes and the presence in the market of large numbers of cash buyers mean that a flood of newly repossessed properties can be absorbed. A number of banks were also likely to keep repossessed properties on their books, take the rental income and slowly release them on the market, Mr Mac Coille wrote. 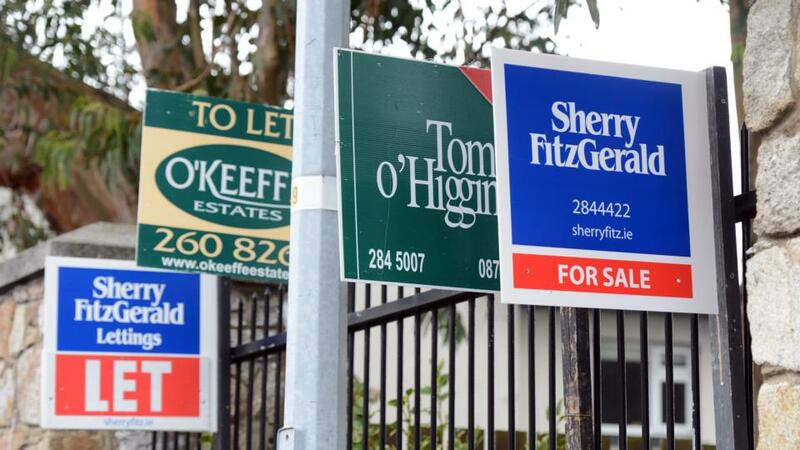 Changes in the law to restore the right of lenders to repossess properties have been passed by the Houses of the Oireachtas and are expected to become law soon. Davy reckons that arrears will keep rising this year, with large numbers of homeowners struggling to repay largely due to income decreases rather than job losses. Two-thirds of those in arrears are in a job, according to comments by Central Bank governor Patrick Honohan. For large numbers of borrowers in trouble the mortgage repayments are so high they represent more than half of their income, Davy reported, citing unpublished Central Bank studies. A separate MABS (Money Advice and Budgeting Service) report found that distressed borrowers had just €777 a month left, after paying for utilities, food and childcare. But the mortgage was around €500 a month. 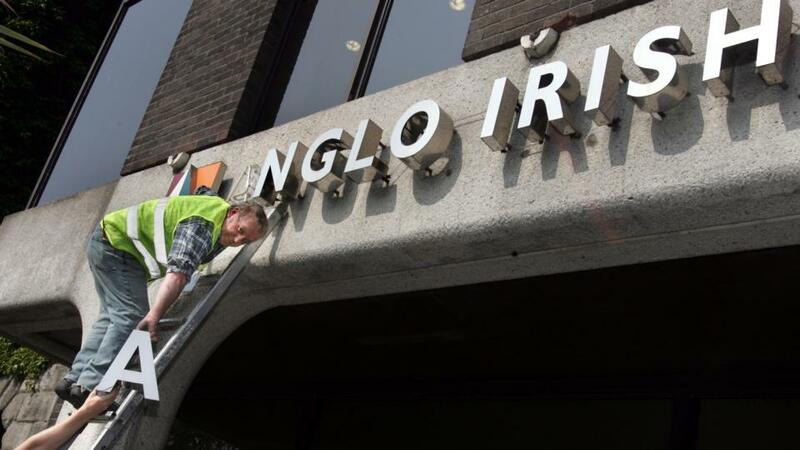 Banks will have to write down up to €11.5bn of mortgage debt. Most of this will be in the form of split mortgages where part of the mortgage owed is put to one side, and in most cases will probably have to be written off at the end of the mortgage term. But one-third of borrowers are in such a bad financial position that a debt writedown will not work. These are mainly buy-to-let investors. Half of investor mortgages are paying interest only. Despite this, almost 30,000 out of 150,000 buy-to-let mortgages are in arrears. via Thousands of homes targeted for seizure by banks – Independent.ie. “The republic that was created from the ashes of the rising was a perversion of the human rights ideals of 1916,” the outgoing Ombudsman and Information Commissioner Emily O’Reilly has said. Addressing the first evening of the MacGill Summer School in Co Donegal, she said people were not yet fully aware of what a real republic looked like. Delivering the 13th annual John Hume lecture, Ms O’Reilly said it was particularly appropriate that the lecture was named after the Nobel peace prize winner as he was a “pre-eminent human rights defender”. She criticised the successors of the 1916 leaders, accusing them of franchising the State “to a private organisation called the Catholic Church, shedding in particular its responsibility for the education and health systems, and thereby allowing little actual space for the elected leaders of this republic to play their role in pursuing the happiness and prosperity of the nation”. It was difficult for citizens to remind themselves that “we are actually the ones in charge”. This was a difficulty, she added, that the executive and judiciary also struggled with. Referring to former attorney general Peter Sutherland, she said his core assertion made in a speech earlier this year, that the courts were “inappropriately forced to decide not alone what our values in this republic are or should be, but also to divine what the elected representatives of the people think about those values”. 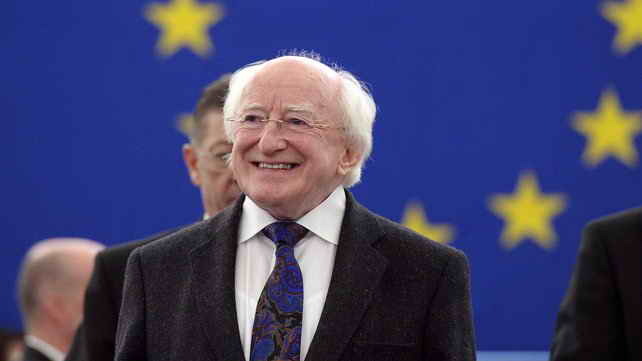 Quoting President Michael D Higgins, she said: “There is a deep-seated anti-intellectualism prevalent in Irish life,” and that our political and cultural life was marked by the false notion that one person’s ignorance was as good as another’s knowledge. She turned to the Constitution, quoting article 28.4.1 which states that the Government “shall be responsible to Dáil Éireann”. via Ombudsman Emily O’Reilly says current republic a ‘perversion’ of 1916 ideals – Social Affairs & News from Ireland & Abroad | The Irish Times – Mon, Jul 29, 2013. Kevin O’Rourke links to an interesting paper by Jeff Frankel which discusses different ways recessions are measured. The standard European measurement says that when an economy falls two quarters in a row it is officially in recession (we know all about that given our official double-dip). This measurement has the advantage of being statistically clear and simple. This, though, can lead to false readings. For instance, over two years the economy declines in half of the eight quarters – leaving it much lower. If, though, none of those quarters were consecutive, then according to the European measurement, there was no recession even though output has fallen. This may be an extreme case but it shows how quirky this measurement can be. The problem with this approach is that there is no single definitive measurement so disputes easily arise. I’d like to introduce another way to measure a recession. It is based on the sinking-ship metaphor. A ship starts sinking. It eventually stops and starts to rise again. While it’s rising back to the surface we can say that it is in recovery mode. However, it will remain below water until it gets back to the surface. Similarly with an economy: an economy goes into decline, eventually stops falling and starts rising. However, it remains metaphorically below water until it returns to the point at which it had started sinking. If an economy is below its pre-recession levels it remains ‘recessed’. Take, for instance, the US Great Depression in the 1930s. The economy tanked big time in 1929. However, by 1935 the economy had experienced nearly three years of rising GDP, employment, consumer spending and investment. However, no one then (or now) would have said that the Great Depression was over by 1935 – it was still well below its 1929 level. Let’s apply the sinking-ship measurement to the Irish economy, using the IMF projections out to 2018. In 2007, the economy was generating a little over €43,000 for every woman, man and child. As seen, according to the IMF projections, even by 2018 the economy will not have returned to the 2007 level. It won’t happen until 2019. In other words, the economy will remain under-water for 11 years – in other words, ‘recessed’. Of course, this is GDP – which is flattered by multi-national accounting practices (profit-tourism, etc.). What does it look like when we measure GNP per capita? Here we use the Government’s own assumptions in their end-of-the-decade scenario. When looking at this domestic measurement (with all its faults) we find that the economy will be underwater for 14 years. 14 years. We won’t find ourselves above pre-recession levels until 2022. And if that’s not depressing enough, the ESRI’s John Fitzgerald estimates that even our GNP figures are over-stated given the presence of re-domiciled multi-nationals. The real GNP figures are substantially lower which suggests that a return to the surface could take even longer based on projected trends. Staying with the metaphor, when the ship returns to the surface what kind of shape will it be in? Even though the economy has returned to the surface, many people will still be underwater. The Government’s end-of-the-decade scenario projects double-digit unemployment by 2019. Average real wages may not return to pre-recession levels until 2020 and even later. How many will still be living in deprivation, how many in poverty, how many will have emigrated? The ship may be back on the surface, hundreds of thousands won’t be. To give another idea of what we’re facing into, let’s use the Government’s assumptions to track the ‘jobs recession’. We won’t return to pre-crisis levels of employment until 2024. That’s 16 years under-water. So when we start growing again – GDP, domestic demand, employment – just remember: we will have to grow for a long-time just to get back to where everything started collapsing. In other words, the ship may start rising soon but we will be underwater for a very long time. Hopefully, you can hold your breath. Not a bad old life for skint Quinlan on the Riviera, n’est-ce pas? With €2.5m debts plus tax arrears, what’s keeping Minister Perry? The following editorial in today’s Irish Examiner is worth reproducing in full. The header asks: Why are we pathetically complacent? I don’t’ think the Irish people are complacent. I think rather they have, over the decades, being rendered totally powerless by the sheer weight of corruption within the political/administrative system. Irish citizens can see the corruption, they are extremely angry about it, particularly since September 2008, but because the governing system is so infected with the disease it is, short of a revolution, almost impossible to make any serious challenge to the power of state corruption. Challenging corruption – Why are we pathetically complacent? It is not an exaggeration to say that the country was convulsed in the run up to the passage of the Protection of Life During Pregnancy Bill through the Oireachtas. Tens of thousands of people marched, every media platform was dominated by debate on the issue. Croziers were dusted off and swung like broadswords in a way that once commanded obedience. Taoiseach Enda Kenny showed an unexpected ruthlessness to get the legislation passed. We had, in Irish terms at least, a spectacular and almost unheard of form of protest — politicians risking careers on a point of principle. It was, whichever side of the debate you stood on, a matter of right or wrong. A position had to be taken, remaining neutral was not an option. Yet, and though the ink is barely dry on the abortion legislation, another manifestation of this society’s justice system’s dysfunction and ongoing failures, our seeming indifference to allegations of corruption — or the innocence and good name of those accused of it — presents itself and there’s hardly a game-changing ripple across the public consciousness. There is certainly no prospect of 40,000 people marching through the streets of our capital to protest at yet another Irish outcome to an Irish problem. Is it that we don’t care? Is it that five years after our banking collapse and not a single conviction to show for society-breaking years of Wild West banking that we are a beaten, abject people who have come to accept that for some people accountability is as remote and unlikely a prospect as levitation? The collapse of the planning and corruption trial earlier this week because a witness is too ill to give evidence has served nobody well, not even the businessman, the councillor and the two former councillors in the dock. Though the principle of innocent until proven otherwise must always apply, too many important questions remain unanswered. This one case may put the issue into a sharp, if fleeting, focus but there are myriad examples of our failure to adequately deal with the whiff of corruption. Speaking to the Dáil’s Public Accounts Committee, former financial regulator Matthew Elderfield put it in the gentlest terms when he chided that we do not have a system capable of holding individuals to account or tackling white-collar crime. How could it be otherwise? A report from that committee suggests that fewer than 60 state employees are focussed on white-collar crime. This figure includes all relevant gardaí, Central Bank officials and the Office of the Director of Corporate Enforcement staff assigned to the problem. We probably have more dog wardens. It is surely, despite the occasional protest from cornered politicians, naive to imagine this is accidental. If it is, like our tribunals, it is profoundly under-whelming and utterly unequal to the challenge. More likely it is another example of our enthusiasm for rules but our fatal distaste for implementing them. There is great, chest-filling talk about political reform, about a new political party even and changing the culture of how a citizen interacts with the state. Sadly, all of that will stand for nothing more than a cynical diversion unless we have a policing, regulatory and justice system capable of, and most importantly, enthusiastic about, investigating allegations of corruption. It is said that a society gets the politicians it deserves and that may well be true, but it is absolutely certain that a society must suffer the consequences of the behaviours it tolerates. The evidence is all around us. via Public Inquiry · It is practically impossible to challenge the power of state corruption. What Can Medieval Irish Chronicles Tell us About Climate Change? Medieval Irish scholars: What can’t they do for us? Having already “saved civilization,” they’re now providing important insights into how geological activity can cause weather events, expanding our understanding of global climate change. The Irish accounts are particularly useful because of their descriptive detail and specificity of dates. In total, 83 unique cold events were reported in the Annals, 65 of which were considered reliable. There was abnormal ice and much snow from the Epiphany to Shrovetide. The Boyne and other rivers were crossed dry-footed; lakes likewise. Herds and hunting-parties were on Loch Neagh,(and) wild deer were hunted. The materials for an oratory were afterwards brought by a large company from the lands of Connacht over Upper and Lower Loch Erne into [Leinster]; and other unusual things were done in the frost and hail. Exceeding great frost and snow and stormy weather this year, so that no herb grew in the ground and no leaf budded on a tree until the feast of St. Brendan, but a man, if he were the stronger, would forcibly carry away the food from the priest in church, even though he had the Sacred Body in his hands and stood clothed in Mass-vestments. The authors found that 53.6 percent of the identified cold events correspond with known volcanic events, which they say is nearly impossible to attribute to coincidence. Why does this matter? The authors write that “determining the extent to which human activity drives future climatic variation requires knowledge of past climate, allowing us us to ascertain the boundaries of natural variability and to test the veracity of models preciting future climate.” Developing accurate climate records for particular regions can tell us more about how “individuals and societies experience climate and plan for extreme weather.” These days we’re more worried about unusual warming than cooling, but the local priests may still want to keep an eye on the kitchen during the Feast of St. Brendan. Can we get the Irish monks on the eurozone crisis next? Me Must Defend Our Democratic Right! The following statement was issued to the media in Cork this morning, on behalf of Cork’s ‘for DEMOCRACY!’ group. A serious issue arises from the weekend’s events in Cork that should concern everyone. A concerted effort was made by officials claiming to represent Cork City Council to stop the activities of the ‘for DEMOCRACY!’ group. The group have organised an Anti-Austerity / Pro-Democracy stall in Patrick’s Street every Saturday for nearly a year, distributing leaflets and speaking with the public. At one stage the speaker at the stall was man-handled while addressing the public, at other stages the officials lined up in front of the stall, face to face with members of the group – invading personal space in a threatening manner. Mr. Ó Cadhla says that the ‘for DEMOCRACY!’ group will be lodging an official complaint and is already in contact with City Hall in this regard. Diarmaid Ó Cadhla noted that “the incidents on Saturday follow a number of earlier attacks on our work against Austerity made by Councillors and Management at City Hall”. He continued, “whether these incidents are related or just some officials ‘going maverick’, it remains a most serious matter – either way we want clarification and an apology from City Council”. Given that the Constitutional role of Local Government is to provide a “forum for the democratic representation of local communities” why isn’t City Council providing such a forum for the people? rather than distract them with trivia and try to silence anyone who speaks out? Cork for DEMOCRACY! c/o Ionad an Phobail, 99 Sráid na Dúghlaise, Corcaigh. via Me Must Defend Our Democratic Right!.